Edit B. Olasz, MD, PhD « Cosmetic Surgery Forum – Practical. Honest. Insightful. Dr. Olasz Harken is an associate professor at the Medical College of Wisconsin. She completed her dermatology residency there and served as Chief Resident. She received her medical degree and PhD from the Albert Szent-Gyorgyi Medical School of Szeged, Hungary. She has extensive basic science training in skin immunology, including a postdoctoral fellowship at the National Institutes of Health. Her current laboratory research focuses on identifying the mechanism of cutaneous squamous cell carcinoma development in immunosuppressed patients. She is the medical director of the Immunopathology Laboratory, Phototherapy Unit, and Adult Aesthetic and Laser Surgery Clinic. She is an expert in treating high-risk skin cancers in immunosuppressed patients and in cosmetic therapies. Additionally, she serves as the Dermatology Chief at the Milwaukee VA Medical Center. She has numerous publications and book chapters and served as invited lecturer at many national and international meetings. 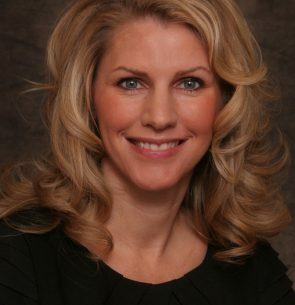 She is a member on several national boards and committees on transplant dermatology, international volunteerism and cutting edge research in cosmetic surgery as well the past president of the Wisconsin Dermatological Society.